With over 140,000 known computer viruses and 85,000,000 spam emails sent out each day, the likelihood of your PC coming into contact with malware such as viruses, worms, and spyware is almost guaranteed. It is very important to secure your computer just like you would secure your house or car. Your computer can be completely taken over without your permission or knowledge if it is vulnerable and connected to the Internet. Hackers constantly scan the Internet looking for vulnerable hosts, and a computer can be infected by a worm or virus within 15 minutes of connecting to the Internet if certain precautions are not taken. 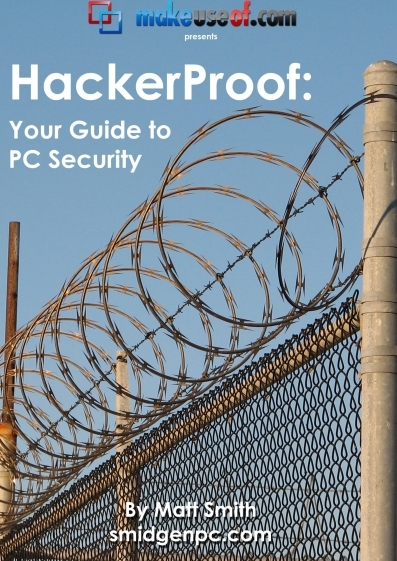 You can avoid most common infections by taking just a few steps, Here is an overview of PC security best practices and tips - "HackerProof : Your Guide To PC Security" This 53 page guide provides an objective, detailed, but easily understood walk through of PC security. By the end of this guide, you will know exactly what PC security means and, more importantly, what you need to do to keep your PC secure.